Music is a splendid thing. It can cheer you up when you're sad, make you dance like a fool, and allow you to drown out the world when you need to. But music has its scientific uses, too. The documentary Alive Inside details how dementia patients react positively when given iPods filled with their old favorite songs. The music seems to help them "come alive" again. While listening to familiar songs, many of the documentary's patients can sing along, answer questions about their past, and even carry on brief conversations with others. "Music imprints itself on the brain deeper than any other human experience," says neurologist Oliver Sacks, who appears in the film. "Music evokes emotion, and emotion can bring with it memory." The documentary follows recent studies showing that music can improve the memories of dementia patients, and even help them develop new memories. Babies born too early often require extended stays in the hospital to help them gain weight and strength. To help facilitate this process, many hospitals turn to music. A team of Canadian researchers found that playing music to preemies reduced their pain levels and encouraged better feeding habits, which in turn helped with weight-gain. Hospitals use musical instruments to mimic the sounds of a mother's heartbeat and womb to lull premature babies to sleep. Researchers also say that playing calming Mozart to premature infants significantly reduces the amount of energy they expend, which allows them gain weight. 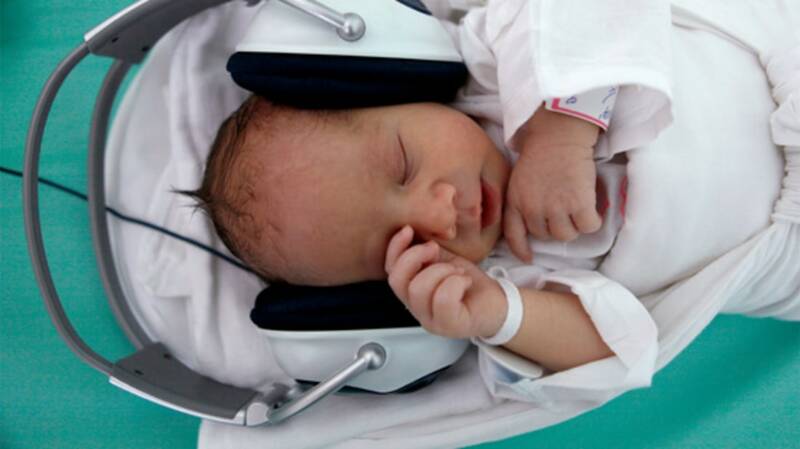 It "makes you wonder whether neonatal intensive care units should consider music exposure as standard practice for at-risk infants," says Dr. Nestor Lopez-Duran at child-psych.org. If music helps babies grow, can it do the same thing for plants? Dorothy Retallack says yes. She wrote a book in 1973 called The Sound of Music and Plants, which detailed the effects of music on plant growth. Retallack played rock music to one group of plants and easy listening music to another, identical group. At the end of the study, the 'easy listening' plants were uniform in size, full and green, and were even leaning toward the source of the music. The rock music plants had grown tall, but they were droopy, with faded leaves, and were leaning away from the radio. Of the 1.5 million Americans who sustain brain damage each year, roughly 90,000 of them will be left with a long-term movement or speech disability. As treatment, researchers use music to stimulate the areas of the brain that control these two functions. When given a rhythm to walk or dance to, people with neurological damage caused by stroke or Parkinson's disease can "regain a symmetrical stride and a sense of balance." The beats in music help serve as a footstep cue for the brain. Similarly, rhythm and pitch can help patients sing what words they can't say. A study of autistic children who couldn't speak found that music therapy helped these children articulate words. Some of these kids said their first words ever as a result of the treatment. "We are just starting to understand how powerful music can be. We don't know what the limits are." says Michael De Georgia, director of the Center for Music and Medicine at Case Western Reserve University's University Hospitals Case Medical Center in Cleveland. Public libraries, malls, and train stations already know this: Teenagers typically don't like classical music. In fact, they dislike it so much that "it sends them scurrying away like frightened mice," says the LA Times. The theory is that when the brain hears something it dislikes, it suppresses dopamine, "the pleasure chemical." And as teenagers' moods fall, they go elsewhere to find something to bring it back up. So if you want the neighbor kids to get off your lawn, turn up the Tchaikovsky. OK, maybe music can't cure hearing loss, but it may help prevent it. A study of 163 adults, 74 of them lifelong musicians, had participants take a series of hearing tests. The lifelong musicians processed sound better than non-musicians, with the gap widening with age. "A 70-year-old musician understood speech in a noisy environment as well as a 50-year-old non-musician," explains Linda Searling at the Washington Post. Not the kind caused by rejection, but the kind caused by a heart attack. Music can help patients who are recovering from heart attacks and heart surgery by lowering blood pressure, slowing the heart rate and reducing anxiety. As a preventative, try listening to "joyful" music, or songs that make you feel good. Research says listening to songs that evoke a sense of joy causes increased circulation and expanded blood vessels, which encourages good vascular health. In 2005, a UK study found that listening to music during sports training can boost athletic performance by up to 20 percent. That's roughly equal to the boost some athletes get from illegal performance-enhancing drugs, except music doesn't show up on a drug test. For best results, try music with a fast tempo during intense training and slower songs during cooldown. In a 2008 study, researcher Tobias Greitemeyer wanted to study how lyrics impacted teenagers' attitudes and behavior. To do so, he exposed one group of teens to "socially conscious" songs with a positive message, like Michael Jackson's "Heal the World." Another other group listened to songs with a "neutral" message. The researchers then "accidentally" knocked over a cup of pencils. The group listening to positive songs not only rushed to help more quickly, but picked up five times as many pencils as the other group. A 2009 study comparing two groups of second graders from similar demographics suggests learning music boosts reading abilities. The only major difference between the two groups was that one learned music notation, sight-reading and other skills, while the control group did not. Each group was tested for literacy before and after the school year. The end-of-year scores for the control group improved only slightly from their beginning of the year scores, while the kids with a music education scored "significantly higher," especially on vocabulary tests. Are you a wine store owner suffering from an overstock of German vino? Try pumping some German tunes through your store. A 1999 study showed that doing so boosted German wine sales, and similarly, playing French music boosted French wine sales. Customers said they were completely oblivious to what music was being played. Ever purchased a bottle of wine with recommended listening printed on the bottle? Well, makers of cheap wine may want to consider that tactic. A group of researchers say certain types of music can "enhance" the way wine tastes by up to 60 percent. In a study, wine-drinkers rated white wine as 40 percent more refreshing when it was accompanied by "zingy and refreshing" music ("Just Can't Get Enough" by Nouvelle Vague was their go-to zingy song). The taste of red wine was altered 60 percent by "powerful and heavy music" like Orff's "Carmina Burana." "The tongue is easy to dupe." says Jonah Lehrer at Wired. Now if you'll excuse me, I have some $8 chardonnay that needs a little help from Tina Turner.